Here is Hearst Tower, one of the more interesting looking skyscrapers in Manhattan. 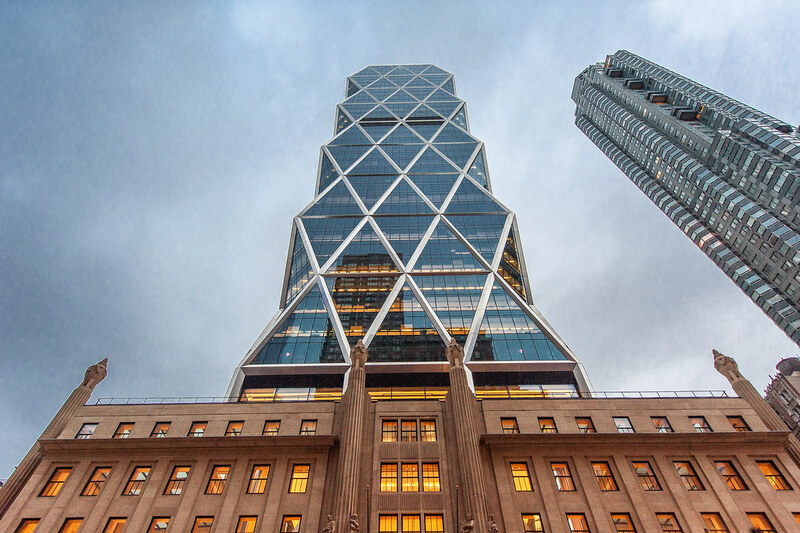 Hearst Tower in downtown Manhattan. This was the dream tower of mine to see the hearst tower on the picture and that day will come soon to see it in the live and real. To this contrary of the picture by the tower on edubirdie.com review website I will read the construction terms of this tower.